The NFL’s two-day “legal tampering period,” on top of having a silly name, is a silly idea. It’s designed for teams to talk to agents before free agency officially opens, but they’re not supposed to agree to deals, not even in principle. They always do, of course—that’s why those deals are officially filed the second free agency opens. And teams are talking to agents well before the window opens, because those deals are often agreed to in principle the second legal tampering opens. It’s a charade, but one fun thing it does bring us is the prospect of a trade or signing being all but announced—then falling apart before it can be consummated. Last year it was Frank Gore backing out of a handshake deal with the Eagles to sign with the Colts. This year, it’s the Eagles again. 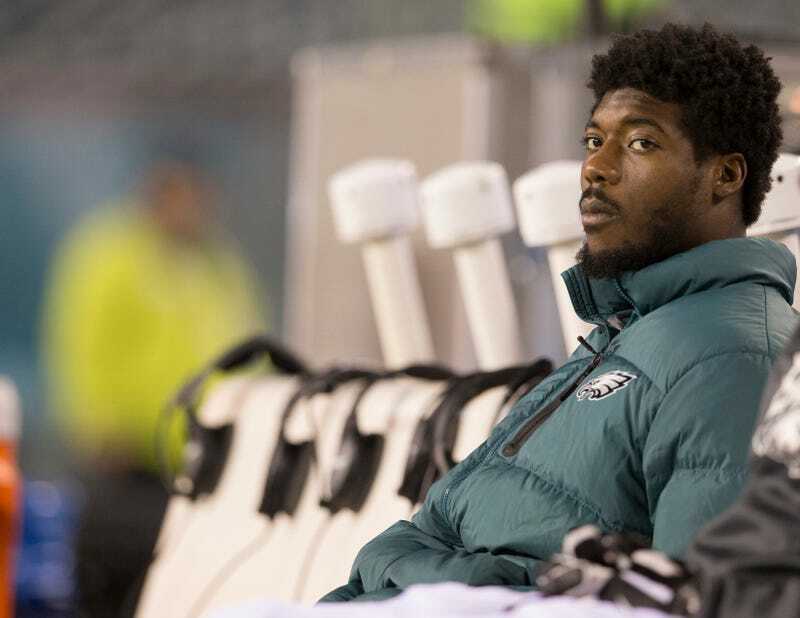 The trade that was to send CB Byron Maxwell and LB Kiko Alonso to the Dolphins (for draft picks, making it more of a straight salary dump than anything else) was a big one for both sides. For Miami, it was an opportunity to shore up their pass defense with Maxwell, a perfectly fine corner who is inappropriately being paid like a great one. For the Eagles, a chance to clear cap space and clear out the most visible remnants of the Chip Kelly era. There were whispers that the Dolphins weren’t in love with something they saw in their new players’ physicals, and everyone assumed it was Kiko Alonso’s knee. But no. In Week 15, Maxwell suffered what was described as a sprained shoulder, and finished the season on IR. No one thought it was that big a deal at the time, and maybe it’s not—reports for the moment have the trade held up, not necessarily canceled. Cynically, you might wonder if the hold-up is tied to the Dolphins’ attempts to rework Maxwell’s contract; he was set to earn $19 million over the next two seasons. The trade, if it can be salvaged, couldn’t be made official until 4 p.m. EST today. Still plenty of time for things to go wrong.